Gawlikowski, Krzysztof; Loewe, Michael (1993). 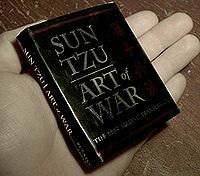 "Sun tzu ping fa 孫子兵法". In Loewe, Michael (ed.). 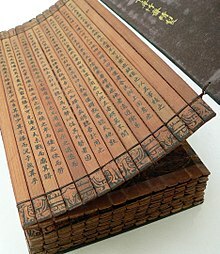 Early Chinese Texts: A Bibliographical Guide. Berkeley: Society for the Study of Early China; Institute of East Asian Studies, University of California, Berkeley. pp. 446–55. ISBN 978-1-55729-043-4. Lewis, Mark Edward (1999). "Warring States Political History". In Loewe, Michael; Shaughnessy, Edward (eds.). The Cambridge History of Ancient China. Cambridge: Cambridge University Press. pp. 587–650. ISBN 978-0-521-47030-8. Smith, Kidder (1999). "The Military Texts: The Sunzi". In de Bary, Wm. Theodore (ed.). 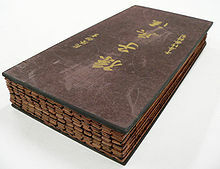 Sources of Chinese Tradition: From Earliest Times to 1600, Volume 1 (2nd ed.). New York: Columbia University Press. pp. 213–24. ISBN 978-0-231-10938-3. Вєдєнєєв, Д. В.; Гавриленко, О. А.; Кубіцький, С. О. (2017). Остроухова, В. В. (ed.). Еволюція воєнного мистецтва: у 2 ч.